Pay – we offer competitive salaries within the publishing industry and keep a regular check on any significant changes in the market. Pensions – we offer two generous contributory pension schemes, details of which will be provided upon joining the company. Holidays – a minimum of 25 days is offered with an additional day for every calendar year of service, which is capped at a certain point. If that’s not enough, employees can buy up to five extra days annual leave every year. 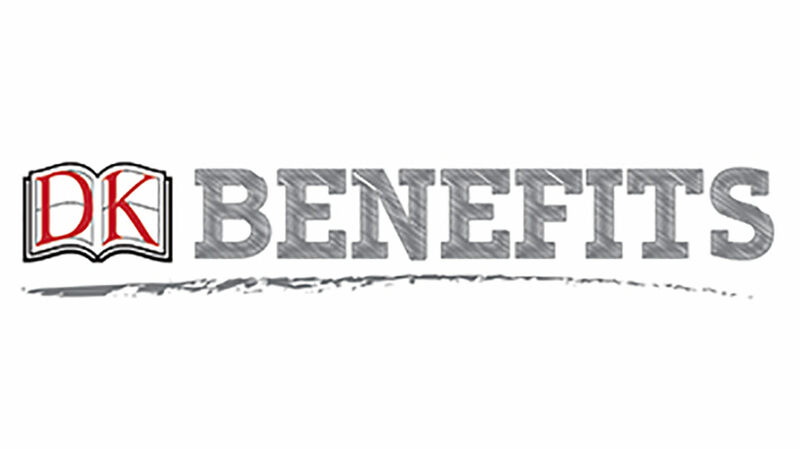 Bonus – our employees are entitled to a discretionary company bonus scheme based on company performance. Life Assurance – our scheme will pay out four times your annual salary that you can choose to flex up and/or buy cover for your partner. Health and Wellbeing – once you have been with us for three months, you can choose to opt into any one (or all) of the following: healthcare cash plan, private medical insurance or health assessment. Flexible Working - we recognise that you want to balance your home and work life, and so we offer flexible working arrangements to help you manage the competing demands on your time. Every request is fully considered with our HR team to ensure a fair approach is applied across the business. Summer Hours – would you like to finish at 1pm on Fridays? For the 12 weeks of summer, that is exactly what happens! Discounts – not only do employees receive a massive 60% off our books, but we also offer great discounts from over 876 retailers.